Soooo, after hearing some numbers from my mechanic, I decided to take on a few projects of my own. Starting with the alternator, which hasn't been removed for about 150 years, then moving on to engine and transmission mounts, maybe his numbers were not that terrible. I did purchase a very pictorial book, 101 Projects for your Boxster, nice pics, very vague on technical data. I wound up purchasing the manual made by Bentley, that one leaves nothing to explain. I hope the picture came out, someday I will bring it off the jack stands. 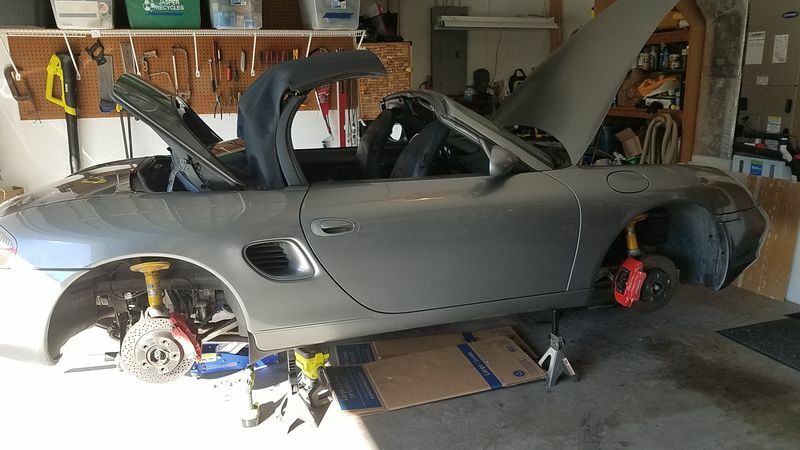 The book is the best bang for your Boxster buck. I'm doing brakes and the like soon on mine too.